Connect with Technical Women Around the Globe. Looking for a local connection? Want to know who is representing your region of the planet? Global Tech Leaders are integral to the direction of Global Tech Women and are changing the world! Are you interested in joining this mission? Read the requirements to the right and send us an email! Telecoms engineer, Marlise Montcho is a proactive leader with a deep passion for social change and mentorship for young girls and women. She also holds a bachelor in Policy Analysis and Development. In line of her vision, she founded “Femme & TIC au service du développement” a Non-Governmental organization engaged in sensitization, education and training girls in ICT. This organization touches several aspects namely ICT and education, ICT and health, ICT and gender, ICT and agriculture. Her leitmotiv is teamwork, good listening, rationalism, rigor, ease of communication and dynamism. Her greatest wish is to achieve 85% of the digital empowerment of women and youth in Benin in 2020. She is a proud MILEAD Fellows as one of the 28 Africa’s Most Outstanding Emerging Women Leaders who took part in the 2014 MILEAD Leadership Institute. This is a Three Weeks of building lectures, skills-training workshops, teambuilding activities, role plays and other interactive activities in Ghana. For 15 years Bih Janet Shufor Fofang has been teaching electrical engineering at the government technical institute and in 2009 founded a private primary and secondary school in Cameroon. Bih is dedicated to teaching technical subjects – mechanical, electrical engineering and a jungle gym of technical topics while ensuring there is more female presence in the technical institute. In addition to teaching, Mrs. Fofang oversees the daily school operations, manages the faculty and ensures everything is running smoothly. Bih is extremely passionate about the outcome of her students. Mrs. Fofang encourages girls at an early age to learn and be excited about the opportunities and applications of technology, and the special spice and expression that females provide in this field. Her Interest is heightened by the recent Power Africa initiative of President Barak Obama for clean, renewable energy and will be building and teaching solar photovoltaics so that children can study and learn more effectively. Mrs. Fofang participates and leads a number of talks and panels and is a member of several women’s groups including the Tecwomen Alumni, emphasizing the ground work needed for getting women and girls involved in ICT. In 2006 I graduated from a Computer Science college in Cairo. I then worked for four years as a database and desktop applications developer. After working four years in SMEs, I decided to establish my own business. Around that time, there wasn't much info about entrepreneurship and support for establishing businesses, but there was a university masters program in management of technology. By 2012, I've earned my Masters degree, co-founded two companies (both of them failed) and now I'm managing an acceleration program for a new tech accelerator in Cairo, JuiceLabs. I'm passionate about helping entrepreneurs create their businesses and take them to the next level. Whenever you're in Cairo and want to chat about entrepreneurship and innovation, ping me on my twitter @nohamahoud. Maysoun is a technical woman with more than 16 years of professional experience in the field of Information and Communication Technology (ICT). As an Acting Director General of ICTs at the office of Palestinian President, she was able to introduce change at a wide range. Given her passion for empowering women in STEM fields, she made sure to sustain gender balance in her team and provide equal opportunities for development. Maysoun served as a member of her country’s e-Government team and her role spanned from the planning to the implementation phases. She also worked as a part-time lecturer at Al-Quds Open University during which she lectured different computer science related courses. Maysoun is committed to increasing women in STEM fields and is currently involved in various national and international activities to serve this target. For instance, in 2012, Maysoun along with other Arab technical women succeeded in establishing of the panel entitled “Arab Women in Computing; Challenges vs. Aspirations” at Grace Hopper Celebration (GHC) of Women in Computing. The panel was a breakthrough as it was the first of its kind in the history of the conference. She is also the founder of the “TechWomen from Palestine” group. Maysoun holds a BSc and MSc in Computer Science and is currently a PhD researcher in Information Systems. She published and spoke at many renowned regional and international technical conferences and received awards including the 2011 GHC Change Agent Award and the 2006 Palestinian Information and Communication Technology Incubator (PICTI) Award. In 2015, she was honored and selected to the "TechWomen Emerging Leaders from the Middle East and Africa" cards and poster. Samah Kareem is the CEO and founder of Youth Friends , she worked for five years as President of NGO youth, and 15 years as ICT head section in Palestine Standards Institution, ICT Standards Committee Chairman, E-learning coordinator with ISO organization, a member in the national team for the Electronic Government in Palestine, ArabWIC Leaders Committee member. She holds B.A and master in Computer Science, her vision is helping her local community to enhance youth future especially female ones by helping them in using technology to enhance their lives. I'm a communication engineer, CEO and founder of " Amateur Club Training Center for kids", which is a place designed to get young minds engaged in learning technology and STEM ( Science, Technology, Engineering and Math), by using modern methods of practical training, Our main goal in the center is to help improving the quality of learning in our country. In particular, we want to see basic electronics and technology occupy a bigger part of middle school curriculums. I held a number of positions, starting from being an engineer assistant, moving to technical trainer, until I became a technical support. However, I always waited for the right time to start my own business. " I like to stay away from my comfort zone, I always do my best in the most complicated circumstances." I also like to introduce myself as the first Palestinian female Licensed Amateur Radio Operator, which is considered as a great accomplishment in my society, In the same field I’m also and Extra level Amateur Radio Operator from the United States of America. I was one of the TechWomen2014 Emerging leaders in San Francisco USA, and I was honored to be one of the “ TechWomen Emerging Leaders Honoree Cards” which was distributed to many schools and centers for highlight women leaders working in STEM. Lately I received a Best entry level STEM Executive 2015 award for my leading work as the CEO and Founder of Amateur Club Training Center, The award was from Women in STEM conference held in Dubai on January. I want to live in a community that believes in women participating and role in all fields, specially STEM. We need to introduce our communities continuously to female row models and show them the change women can made, I will keep working on attracting more girls to STEM and allow them to practice practically things they've been learning theoretically in schools, I want to prove to them that you can be working in STEM and have fun at the same time. I believe that it's us who will make the difference we want to see in our communities. Sana Gujral is currently a senior at Delhi Public School, R. K. Puram. She has been contributing to the tech world by helping bridge the gender gap. Sana gave a TEDx talk on ‘Empowering women in India through computer science.’ Sana is of the strong belief that women around the world are falling short not because of the lack of capability but because of the stereotypes that bind them. She is the only female member in her batch to be part of the computer club, EXUN and has even conducted a technology symposium g-Lite aimed to educate high school girls in computer science. Nour have been involved in mentoring and developing others for 3 years now, she helped holding many tech related events and seminars in Jordan, she mentored high school girls (15-17) years old and taught them how to build mobile apps, she participated in many events speaking about her experience in technology , and the dream of seeing more females in STEM. Nour is interested in evolving technologies and social media and its impact on our lives, and hand held devices apps, She's also an active volunteer in any tech related initiatives. I am a graduate from the University of Eldoret with a BSc in Computer Science degree and currently working at Text Book Center Limited as a Technical Support Engineer. I have a great passion in technology and particularly using tech to solve community challenges. Beyond the class room, I helped set up the dLab an IT incubation center in Eldoret and market the institution. Also my four years as a member and a leader of the Developers Club at campus has helped connect students of different backgrounds into one team that functions as an inclusive and supportive group . Leadership is my strongest asset. I love to strategize, provide guidelines and the way forward on how to accomplish a task within a timely manner with a diverse team. I enjoy seeing the progress and end result of working towards a common goal especially with a team that is passionate and focused on what they do and as global tech woman leader I will want the region I come from get connected to the tech trends in the world. I was selected among the 2014 Grace Hopper Celebration of Women in Computing Scholarship Recipients in 2014 at Phoenix, Arizona and this was a eye opener to the world of women in tech and innovation possibilities. Also I was a Young African Leader Initiative Semi Finalist in 2014 and a project coordinator for dLab and I am currently working on a start-up organization in Kenya to help empower girls and women in STEM through online resources,outreach programs,project based learning to make STEM fun to learn through tech aid training. My focus in is enhancing development in the region. I do aim to create a scientifically and technologically literate population capable of looking critically at the development of science,technology, and mathematics and women contributing to decisions about this development. 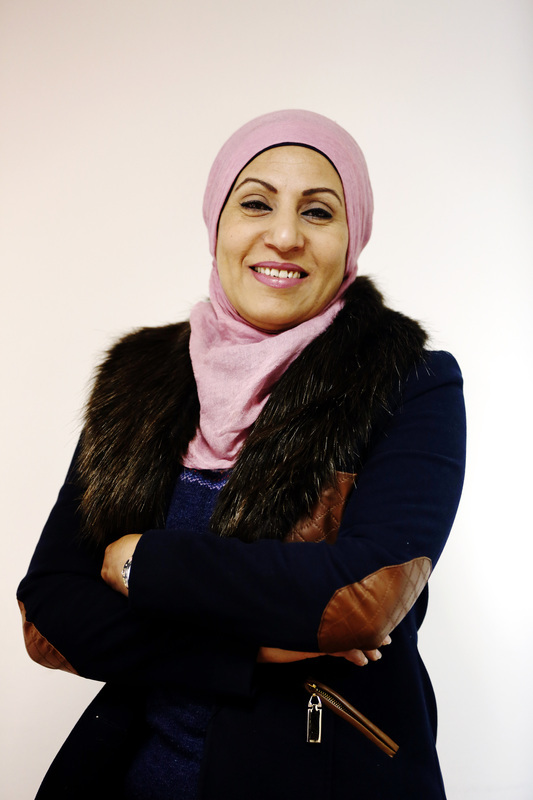 Sukaina has been serving the United Nations (UN) for more than 12 years with focus on Information and Communication Technology (ICT), gender equality, Arab women empowerment and statistics. She is currently working as an Associate Statistician at the UN Economic and Social Commission for Western Asia (ESCWA) focusing on social statistics and statistical computing. Prior to this position, she worked as a researcher in the field of ICT and specifically in the areas of ICT policies and applications and measurement of the Information Society. Sukaina undertook a notable role in regional activities aimed at harnessing ICT for socio-economic development in the Arab region. Given her technical expertise and dedication to women’s issues, she worked as an Associate Social Affairs officer at the ESCWA Centre for Women (ECW). She focused on gender equality and empowerment of women through ICT, promoted gender diversity in technical education and contributed to bringing the issue of Arab women in computing to the global forum. 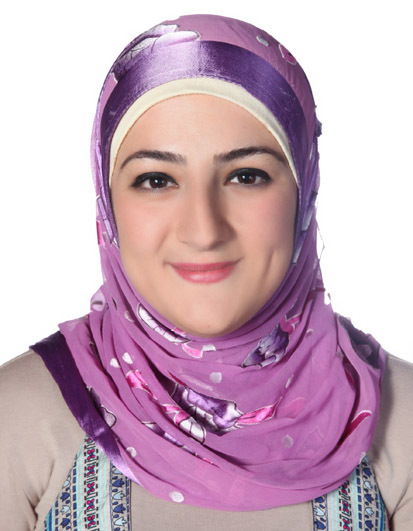 The latter includes her central role in establishing, in 2012, the panel entitled “Arab Women in Computing: Challenges vs. Aspirations”, considered as the first on the topic in the history of Grace Hopper Celebration of Women in Computing and introducing related regional activities in the work plan of ECW. Sukaina published papers and chapters in technical journals and books respectively and spoke at highly recognized regional and international conferences. In 2015, she was honored as a TechWomen emerging leader by being highlighted in the "TechWomen Emerging Leaders from the Middle East and Africa" cards and poster. Sukaina is an Arab technical woman. She holds a BSc and MSc in Computer Science from the American University of Beirut and is currently pursuing a Ph.D. in Information Systems. I am a technical person addicted to everything related to technology. I have completed my BS degree in Computer Science with the highest GPA in the faculty of Art and Sciences from the Islamic University of Lebanon for over three years. This allows me to pursue my MS degree in Computer Science at the American University of Beirut (AUB). During my MS degree I was working as a teaching assistant at AUB where I assisted many computing , Web and networking courses. In parallel, I was working as a software engineer in a startup company. In 2013, I was selected as one of the top 5 Lebanese TechWomen emerging leaders where I had an internship and I attended workshops in the city of technology Silicon Valley (www.techwomen.org). Currently I am working as a senior software developer in Mediterranean Shipping Company (MSC and MSC Cruises) where I am responsible about the systems that handle all the shipping operations in MSC. Moreover, I have build my own software starting from analysis until development then publishing phase, this software handles all operations related to MSC Cruises. Leadership wise, I am a scout leader and trainee in the Lebanese scout federation, scouting is the best part of my life where I can practice the volunteerism and I can improve my communication and leadership skills. Last but not least I have been selected as an ambassador for the ArabWIC (Arab Women in Computing) chapter in Lebanon where I will be responsible of doing workshop and events that encourage women to go more in the IT sector. multimedia company that produces mobile applications, content and services. Nuraizah graduated as an Electrical Engineer from the University of Michigan. Madcat has over 900,000 downloaded apps in 201 countries around the world and one of their apps was top 47 in the Mobile Premier Awards in Barcelona in 2010. In 2012, Madcat was also named finalists for Best Startup Company and Best Mobile Application in the NEF-Awani Awards 2011. Peace Asukwo has over 9 years of progressive work experiences in cooperate business startup, humanitarian, international non-profit business, mentoring and project management. Peace is currently heading the IT/Information Management operations of Save the Children International program in Nigeria, Save the Children International with operations in more than 120 countries, Peace is the first and only woman in her position in West and Central Africa. Peace Asukwo frequently work with the top-executives in designing non-profit programs operation for the country and beyond using emerging technology. She identify, analyze challenges in her community with pressing societal needs, collaborate with partners, donors, sponsors and volunteers in resolving the needs. Peace has successfully developed talented women and girls and encourages them to be educated mostly into the Science, Technology, Engineering, and Mathematics. Peace Asukwo is an Engineer with a Bachelor of Engineering Degree from the University of Uyo in Akwa Ibom State of Nigeria. She is also a member of project management institute, member of Nigeria society of engineers, member of Nigeria institute of management. Peace is very skill in coalition building, community relations and outreach, strategic planning, monitoring and evaluation and organizational management. Peace is also the Founder and Chief Executive Officer (CEO) of Pesua Classical Engineering Company. Pesua Classical Engineering is a registered Engineering company with the goal of providing solution to Africa in electrical electronics, Information & Communication Technology (ICT), and Civil engineering needs. Dr. Bushra Anjum has been working as an international educator and industry consultant since 2007 (see LinkedIn Profile). She is also an active member of various international diversity outreach and inclusion initiatives like Empowering Leadership Alliance, ACM MentorNet, Women in Computer Science local chapters, Computing Beyond the Double Bind's Mentoring Network, and GlobalTechWoman, to name a few. Dr. Anjum, a Fulbright scholar, completed her PhD from the Computer Science Department at North Carolina State University (NCSU), Raleigh, USA in 2012, advised by Alumni Distinguished Graduate Professor and IEEE Fellow Dr. Harry Perros. Alongside, she also completed the one year “Certificate of Accomplishment in Teaching” curriculum offered by Preparing Future Leaders, Graduate School, NCSU. She has interned at Intel as a Graduate Researcher working with the CASE (Communications and Systems Engineering) Team. She has taught in Pakistan at National University of Computer & Emerging Sciences and Lahore University of Management Sciences and in USA, completed teaching assignments at North Carolina State University and Missouri University of Science & Technology. Her current research focus is on using Hidden Markov Models to predict and dimension sensors in the context of Internet of Things. Alongside, she works on Social Media Predictive Analytics problems, especially those related to Big Data Analytics. Emma Marie Ndoringoma is an engineer in Telecommunications. She works hard to be a centre of technological excellence for the service of her society and also a centre of high quality telecommunication services for the benefit of the mankind. She founded Fidalix and she is a Product Manager at Promelec, she is an award winner of 2013 TechWomen Emerging leader and an Honoree for the "Notable Women in Computing Playing Cards Deck" project. Emma previously worked as a customer support Engineer at Promelec (Kenya) and she has been the first Google Student Ambassador at the University of Rwanda. She has worked as a consultant for last mile systems design and implementation within 10 Countries throughout Africa; she worked with different NGOs, public Institutions, IT, Telecommunications and software companies in Rwanda, Burundi, Democratic Republic of Congo, Kenya, Niger, Republic of Congo, South Sudan, Tanzania, Togo and Uganda. She is a member of Girls in ICT which is the group that improves the current statistics regarding the numbers of women in the ICT sector as well as to alter the stereotype held by many young girls that ICT is a man’s field. This group specifically operates in Rwanda. She is a co-founder of Her2Voice, a group which motivates women and girls to pursue science and technological studies and join STEM careers after ending their studies. She has been a Global Techwowen Voices conference contributor in 2014. Zimkhita Buwa is an SAP Business Intelligence Consultant and SAP Mentor. She loves telling the story behind the data and empowering organizations to find meaning in the mountain of data they produce. She calls herself "The Visualiser" as she is fascinated by data visualization. Her passion for creating opportunities for other young people has led to her active involvement in the Tech Community in South Africa. She currently heads up the Students and Careers portfolio for Silicon Cape, an organization that promotes Tech Entrepreneurship in Cape Town. She is also the Chairperson for the SAP Business Analytics User Group in South Africa. She is a proud Techwomen Alumni as one of the 78 Emerging Leaders from Africa and the Middle East who took part in the Techwomen Programme. The Mentorship Programme, sponsored by the US Department of State placed the Emerging Leaders in Silicon Valley for 5 weeks in 2013 where they were paired with a professional and cultural mentor. Zimkhita is an Techwomen Activist who often speaks at conferences and enjoys creating social media awareness on the need to improve women participation in the Tech space. Follow her on @zimbuwa to read her latest thoughts. Mrs. Toulekima has close to 20 years’ experience in the oil and gas industry. She has had an accomplished international career with assignments in West Africa, Europe, South East Asia, Australia, Eastern and Southern Africa. 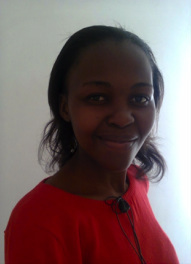 Mrs Toulekima has a strong technical background complemented with excellent management and leadership skills. She previously worked on important oil and gas development projects and contributes to transfer best practices acquired over her distinguished career to the African and international oil and gas industry, making her an asset for the oil and gas industry worldwide. She attributes her success to authentic leadership, continued learning, hard work, determination, innovation, enjoying challenges and staying true to herself. Mrs. Toulekima earned a Bachelor of Sciences from ISERPA (Institut Superieur de Recherche en Production Automatisee) in France and a graduate diploma in Applied Management from the Global school of Applied Management in Australia. 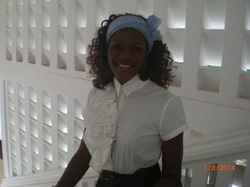 She was named a VIP Member of Worldwide Who’s Who for excellence in Petroleum Engineering and Management in May 2012. She speaks several foreign languages of which French, Spanish, Portuguese and Malay. She is currently working on her first book which is anticipated to be a must read for any potential oil and gas investors interested by the developing and emerging energy markets. She is a member of the Society of Petroleum Engineer (SPE), The Oil Council, the Australian Institute of Management (AIM), the Australian Institute of company Directors (AICD), the Australian Women’s Network (AWN), Women On Board Australia (WOB), the Institute of Directors Southern Africa (IoDSA), Ellevate Network and contribute to few local South African Women groups. She is an avocate for diversity, women advancement, leadership and development in the oil and energy sectors. She has just recently co-founded the non-profit organisation “Energy Angels” to reach out and sponsor under-priviledged girls in West Africa to study subsjects related to the oil and energy fields. Looking forward, Mrs Toulekima intends to continue to increase her sphere of influence and take up any challenges to contribute to the growth of the energy sector and the recently created “Energy Angels” non-profit organisation. At QualityLife Company we believe that finding work you love is closely linked to meaning and purpose. When an organization is in touch with its meaning and purpose, the people who work there are inspired, energized and motivated to fulfill that purpose too. Our work with individuals, with leaders and with organisations helps them to clarify meaning and purpose and makes sure that the people they work with are fully engaged so that they can contribute to this purpose in the most meaningful way possible. Ines Nasri is a computer science engineer and holds a master degree in Entrepreneurship and Innovation Management from National School of Engineering of Tunisia ( ENIT). She also was hosted by Tennessee State University: College of business to conduct a research study about internet consumer’s behavior. All along her studies, she was ranked the first of her cohort. 9 years ago she left a well paid job that many engineers dreamed of and decided to create her own company starting from almost nothing with her student personal computer and her personal printer… WebPower is now a famous digital agency in Tunisia. Ines has also created the first event ever in Tunisia that is dedicated to Digital marketing: Tunisia Digital Day. The first 2015 Edition was a great success and was covered by major media in the country. Ines is continuously mentoring students in marketing, mobile development and communication in their final studies projects. She is also a speaker and participated in many conferences about mobile development, communication and especially digital marketing. Ines believes that STEM are a powerful tool for women empowerment. She enjoys creating awareness on the need to improve women participation in the tech space. Gulustan Dogan is currently working at Yildiz Technical University, Istanbul, Turkey as an Assistant Professor. She worked at NetApp and Intel as a software engineer in Silicon Valley. She received her PhD degree in Computer Science from City University of New York. She received her B.Sc degree in Computer Engineering from Middle East Technical University, Turkey. She is one of the founding members of Turkish Women in Computing (TWIC), a Systers community affiliated with Anita Borg Institute. Irene Nandutu is a technology enthusiast, she has passion in software development, start-ups with a Technopreneurship mind and a keen interest in gender diversity in tech, her dream is to see more women taking on STEM subjects in Uganda since they are more practical and this can increase on the level of innovativeness in the country. She has over 3 years experience with tech-related engagements in order to learn and increase on her knowledge in the tech field as well as share the knowledge to the society at large. 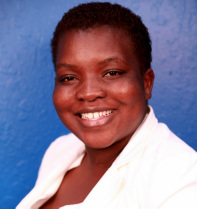 Irene is a Lecturer and a community volunteer in tech women engagements which are non profit that Irene works as a mentor with an objective of involving more women in Technology. She holds a degree of science in information technology from Uganda Christian university. 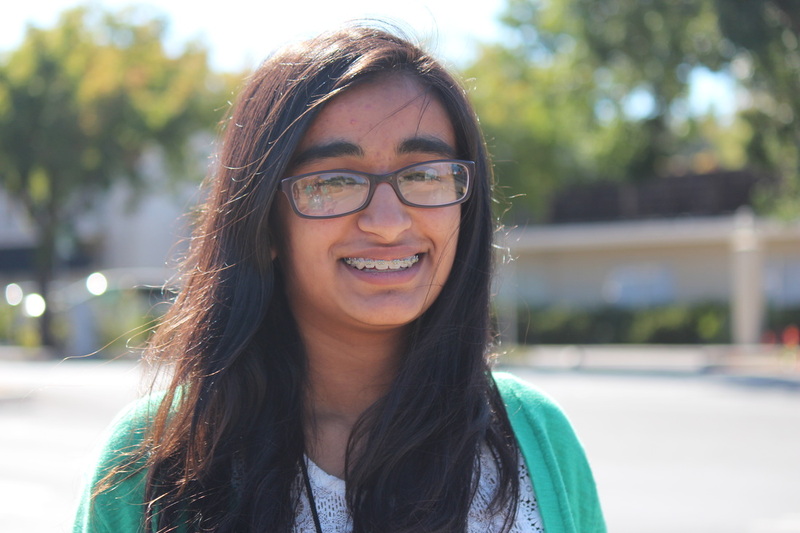 Anika is a rising sophomore at Cupertino High School, in California. She is learning JAVA and hopes to use her computing skills for social impact. Anika plans to impart her passion for technology to other girls and inspire them to dream big. She helped launch Camp Sci Girl, a free virtual computer science camp for middle school girls. The program aims to expose middle school girls to computing concepts and break tech stereotypes by providing high school and college mentors to the girls. She also is a teen-committee member of Girls Innovate, a non-profit aiming to bring the community together for innovative learning experiences. In addition, she enjoys dancing, drawing, and is actively involved with FBLA, a business club at her school. In the future, Anika hopes to pursue a career in tech entrepreneurship and computer science. Faye Sahai has more than 20 years of experience in leading innovation & emerging technology, catalyst for change and strategic initiatives across multiple companies such as Kaiser Permanente, Blue Shield, Deloitte Consulting, AIG, Charles Schwab, Disney, HP, and Toyota. She has been responsible for creating and advising innovation accelerators, managing innovation labs and innovation fund, structuring strategic collaborations, coordinating network of innovators, holding annual strategic innovation challenge and awards. Faye is a health innovation adviser to companies, start ups and accelerators and serves on the UCSF Catalyst Advisors. She received her MBA from UCLA, BA from Claremont McKenna College and SCPM from Stanford. .
introduces elementary and middle school students to Html, CSS and Java programming through interactive classes held at local libraries. She attends Pinewood high school in California and is the founder and president of the technology club at the school. The club provides a platform for students with similar interests to connect, share ideas and learn from each other. Nikita is especially passionate about getting more girls interested in computer science. She works with the local community to increase more awareness and participation of girls in technology based programs. 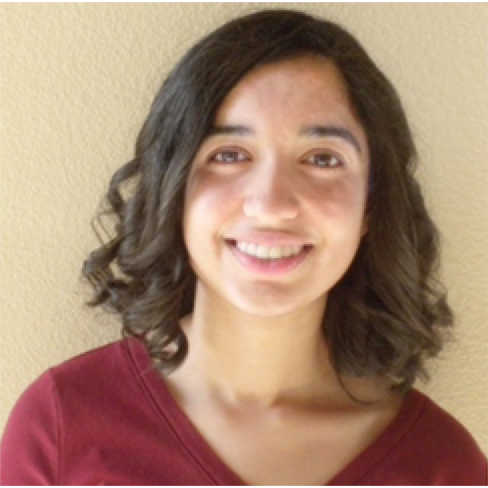 For her outreach efforts, Nikita has been awarded the NCWIT Bay area Affiliate award and recognized as a Stanford she++ include fellow. Nikita also enjoys competitive chess, tennis and writing articles for her school newspaper. Nikita hopes to pursue a career in computer science and tech entrepreneurship. I am currently a freshman at Lexington High School. I believe in providing an education for illiterate children in villages around India, which will lead them to a better position in the future. I’m educating the children through Skype. I provide lessons on the english basics, math skills, and the foundations for Science. As a result, I am able to set a base for their journey in education and technology. I have also volunteered at many hospitals and am a part of the Debate club. I have also been an active and committed member in of the Kids Food Basket Youth Action Board. I created awareness to the issue of childhood hunger. As a team, KFB and I were able to attack this prominent issue and raise more than $4,000 for children in Africa. I want to create a community where women have the opportunity to all aspects of education . I am also determined to create a positive impact upon individuals who are judged negatively based on their exposure and achievements in the educational aspects. Above all, I’m persistent to provide knowledge to females across the world, who are looked down based on their gender. I believe that any individual can make a positive impact upon the society. Through this program, the youth board and I were able to cause a direct impact upon the kids in the community. OCWiC is the Ohio Celebration of Women in Computing. Since 2005, OCWiC has been engaging and empowering Ohio women in computing, by building community, celebrating success, and illuminating possibility. One of OCWiC's most visible programs is its semi-annual regional conference, modeled after the annual Grace Hopper Celebration of Women in Computing. These events attract 150+ participants from around the world, including students ranging from freshman to graduate level, faculty, and women working in IT in industry. During the conference, young women explore opportunities in information technology (IT), to network with other young women and to meet possible mentors. The conference program includes parallel and general sessions, technical papers, and posters and panels designed to inspire, educate and encourage technical women and to enable networking among women participating in the IT field in Ohio. Bettina Bair is a member of the OCWiC Steering Committee, coordinating the communication and social media efforts for the OCWiC community. She is also the founder, and served as General Chair for OCWiC 2005 and OCWiC 2007. My name is Shreya Shankar, and I am a junior at A&M Consolidated High School in College Station, Texas. I love math, science, and programming, and I want to use these skills to help educate underprivileged children around the world through mobile apps and other rising technologies. In addition to having leadership roles in my school's Math Club, Science Bowl, and Science Olympiad, I am a member of my school's varsity swim team, varsity orchestra and club swim team. In my free time, I like to play piano and tutor students in math and science. Passionate about making a difference in the community, Sreya Atluri currently serves as the CEO and Founder of Creating Awareness in Research and Education (CARE) and an Executive Director for Growth and Inspiration through Volunteering and Education (GIVE), both non-profit organizations dedicated to promoting youth leadership and entrepreneurship. Outside of school, Sreya is dedicated to STEM, serving as a Fairfax County Coordinator for the USA Science and Engineering Festival, an X-STEM Coordinator, and pursuing research at the National Institutes of Health. Sreya is also heavily involved as the Secretary-General (President) of Model United Nations, Co-President of Bioengineering Projects for the Future, Co-Director and Co-President of X-STEM, Tomorrow’s Women in Science and Technology, and a BigSibs (mentoring program) Coordinator in school. In addition, she actively seeks to make an impact in the community through her role as an elected representative of her school on the Fairfax County Public Schools Superintendent’s Student Advisory Council, her work on the FCPS Student Human Rights Commission, and her presentations at STEM and leadership conferences. 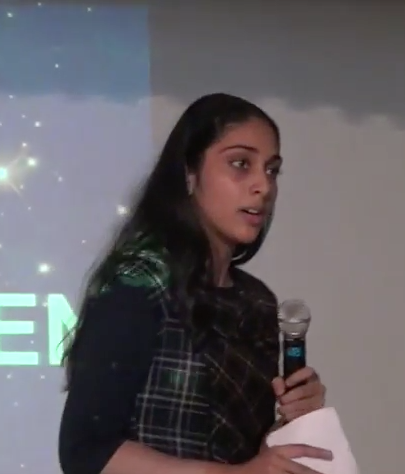 Pooja is currently a senior at Thomas Jefferson High School for Science and Technology as well as the founder and CEO of ProjectCSGIRLS, a (US) national nonprofit working to close the gender gap in technology and computer science through running a national computer science competition for middle school girls and workshops around the country. She firmly believes in advancing and supporting women in tech and has founded several initiatives dedicated to encouraging girls in technology and STEM, including the Fairfax Math Circle for Middle School Girls at George Mason University and the NCWIT AspireIT program “Game Programming with Microsoft Kodu”. She also actively pursues research opportunities, particularly those related to computer science with applications to medicine, and has received several accolades for her work. Pooja is a published author, for both her creative writing and technical work, and hopes to pursue a career at the nexus of medicine, computer science, and tech entrepreneurship. 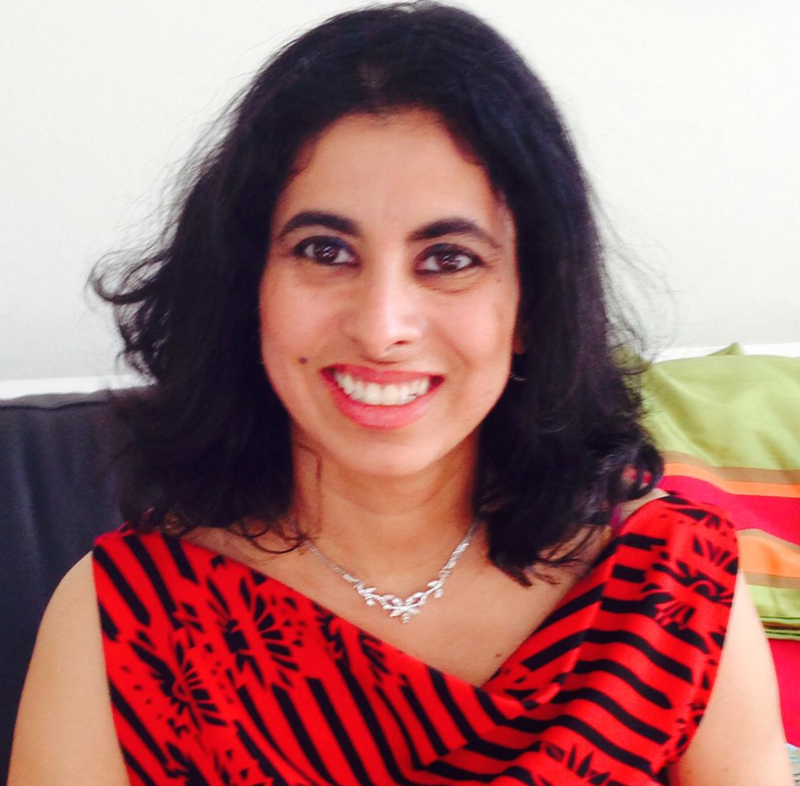 Rekha Raghu is a accomplished tech leader having worked at Intel, Motorola and several smaller startups. After completing Masters in Computer Science and Engineering, she started her career as a software engineer at Motorola and moved on to do product management leadership roles. She is very passionate about social change and impact for young girls and women. She was a founding member of Asha for Education, Chicago Chapter. She lives in Redmond with her family. You can reach her via her LinkedIn profile. As a dynamic, highly motivated and open-minded Intellectual Property Expert, with good analytical and research skills, I would like to make a difference and make an impact on socioeconomic development. My goal is to become a Patent attorney with expertise in technology transfer and licensing and use my expertise to develop the National Innovation System. I am also working on My PhD study in the Economics of Science, Technology, Innovation and Intellectual Property to see how these can be instrumental in the socio-economic development of Developing Nations including Zimbabwe . Worked for a Silicon Valley multibillion Dollar HighTech Company Juniper Networks and hence view with experience to work outside my comfort zone and make an impact there. I am now poised to use Information technology to impact on National Development. Primrose possesses a strong background in engineering processes and is qualified as an artisan with experience in Refrigeration and Air Conditioning practices in manufacturing industry and possessing knowledge and understanding in most Safety Management Systems all this coupled with a burning desire to learn more and advance in the field of Safety, Health and Environment. She has more than 5 years experience in Refrigeration systems. She is a participant with a multifaceted professional orientation, passionate about training and entrepreneurship. Currently Primrose is lecturing Refrigeration and Air Conditioning to young aspiring Refrigeration Technicians at a local college in Zimbabwe. She has strong skills in forming, supervising and implementing accountability mechanisms. Her vision is to bring together women in Science, Technology, Engineering and Math faculties in the region and to inspire and mentor young women who want to get involved in these fields. Are you interested in joining Global Tech Leaders? The Community is looking for representatives from every part of the world who are interested in what is happening in their region and provide leadership on how Global Tech Women can best serve the community. Blogging once a quarter on what is going on in your region of the world or on a topic you are passionate about. It can be as little as 200 words. Keeping the GTW Event Calendar up to date with local and regional events of interest to the group. Posting articles and blog posts about women in tech in your region of interest on the GTW Facebook group or LinkedIn group. Represent your region by answering questions and connecting with other people in the community who are interested in what is going on in your region. This is an opportunity to expand your network and influence in the region. Meet twice a year virtually with all Global Tech Leaders at a Leadership Summit in February and August. One year. After one year we will celebrate your commitment and decide together if you would like to continue for another year. Are you interested? Email us at info@globaltechwomen.com and we will start the process.